Are you planning ahead for 2014 by researching home improvement options to create a new look for your home? While many homeowners sold their homes and bought new during the real estate upturn in 2013, others have decided to build equity in their current homes by investing in home improvements. Home improvement costs have actually dropped in recent years, and homeowners now get more financial return on their home improvement dollars. One type of home improvement widely viewed by home building experts as a good investment is replacement windows. There are many reasons homeowners replace windows, especially if they have drafty windows with sashes that are difficult to operate, or glass that’s hard to get clean. Homeowners occasionally choose to replace wood windows simply due to tedious annual maintenance. Whether your windows are old or they require regular maintenance, adding replacement windows gives you the perfect opportunity to create an attractive, new look for your home. Acrylic block replacement windows from Hy-Lite®, a U.S. Block Windows Company, are attractive and affordable, offering everything you hope to gain from your next home improvement project. Hy-Lite® acrylic block privacy windows are available in virtually any size, shape or window type, including operable casements, awnings, single hungs, sliders, and basement hoppers. 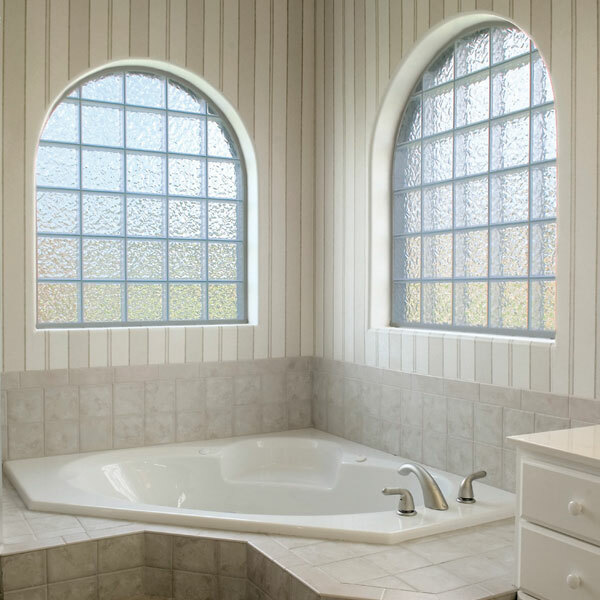 In addition to adding value to your home, replacement windows offer increased privacy. In many suburban areas, new development has increased in residential neighborhoods to the extent that you may now have neighbors you did not have three to five years ago. Whereas, at one time you may have had a pretty vista across your side or back yard, you may now face another home that has been built in the last couple of years. For many homeowners this presents a significant privacy issue, especially for first floor living. Homeowners often choose to add privacy replacement windows, such as fixed or operable acrylic block replacement windows by Hy-Lite®. With pre-framed energy-efficient all-vinyl frames, Hy-Lite® acrylic block replacement windows include three energy-efficiency options for acrylic block privacy windows -- SunBlock™ PLUS, E3 Triple Glaze and E3 SunBlock™ PLUS. The E3 Sunblock™ Plus tinted UV inhibitors and triple glazing options are suitable for all climates and are available as upgrades to the majority of Hy-Lite acrylic block privacy window products. Energy-efficient Hy-Lite® acrylic block replacement windows pay for themselves over time by reducing heating, cooling, and lighting costs. For many of today’s homeowners, dollars and cents do not necessarily determine exactly which projects will be executed. Simply making changes to improve the appearance of the home is of interest to most homeowners, if not all. Hy-Lite® acrylic block replacement windows provide privacy, energy efficiency and aesthetic appeal, enabling homeowners to build equity in their homes while adding an attractive new look. For more information about Hy-Lite windows, please visit the Hy-Lite® website at www.hy-lite.com.